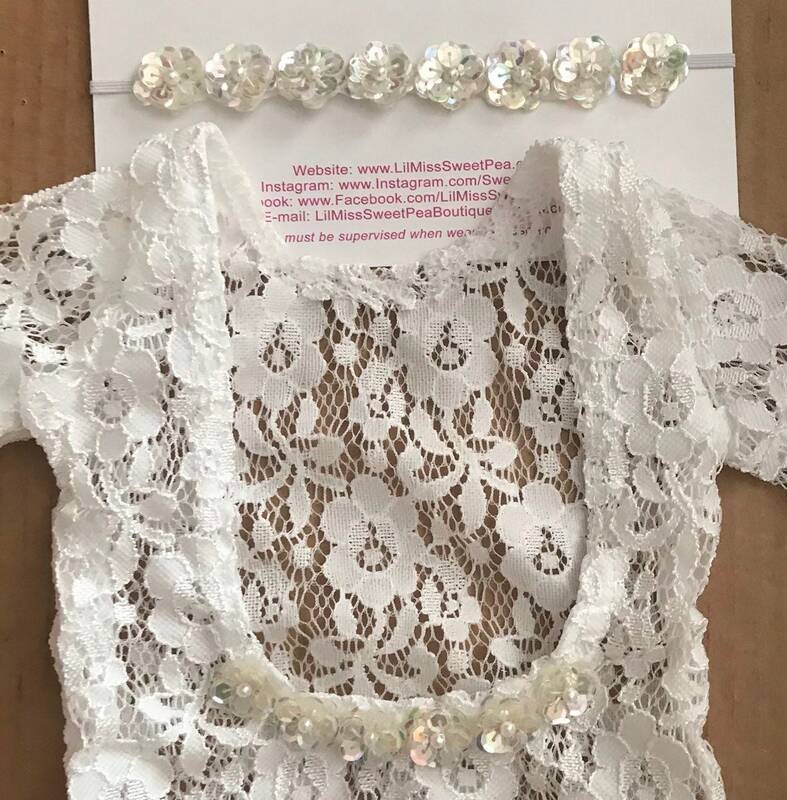 This long sleeve embroidered stretch lace romper is for newborn photos, not everyday wear. 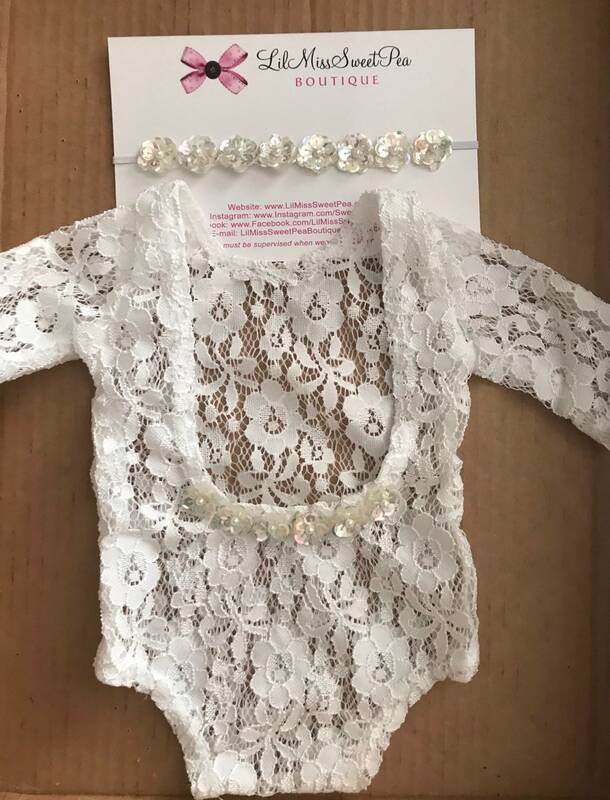 We only make this in newborn sizing. Romper is not lined, it is open cut lace fabric. Average length from shoulders to crotch is 11 inches. Chest is approximately 7 inches. The back is low cut to make it easy to dress the newborn. Choose either the romper only, headband only, or the set of both. 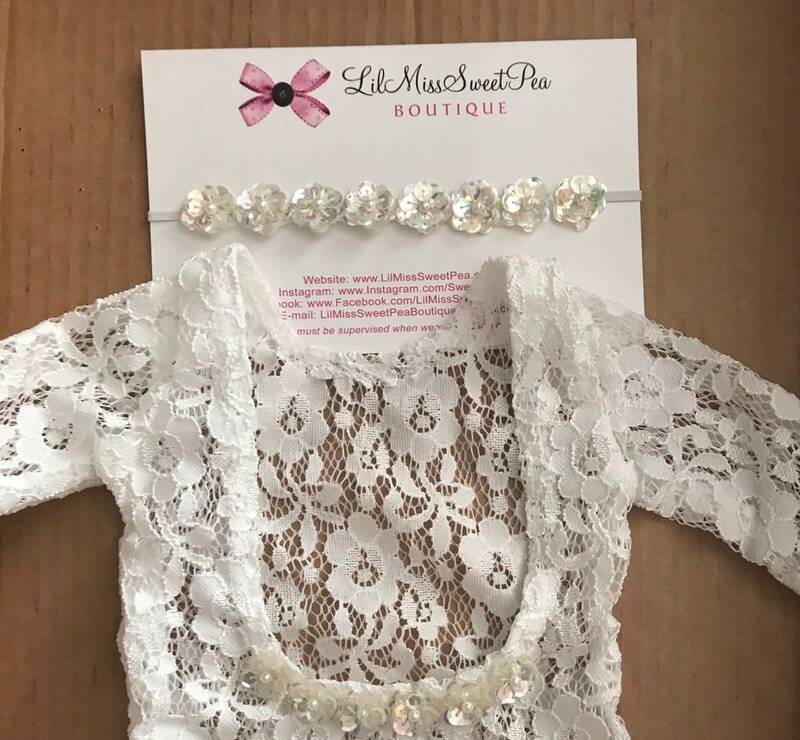 Newborn set will be the headband with small sequin flowers to match the sequins on the low cut back.